TriMet’s Transit Police Division has a new dog joining its Canine Explosive Detection Unit, and he comes aptly named to secure the MAX and the rest of the TriMet system. 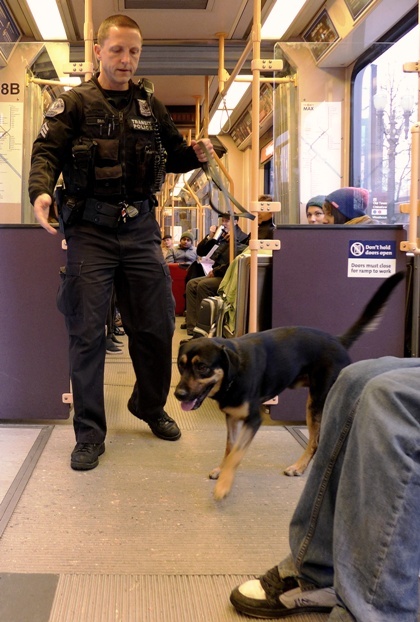 Officer Max is a two-year-old Labrador mix that comes to TriMet through the Transportation Safety Administration’s National Explosives Detection Canine Team Program. 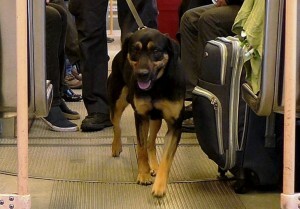 The TSA partners with airports and mass transit systems to combat terrorism with highly trained dogs that are able to sniff out explosive materials. Max is partnered with Transit Police Sgt. Jim Simms and he follows in the paw prints of Rexo. Rexo recently retired after serving seven years on the Canine Explosive Detection Unit. 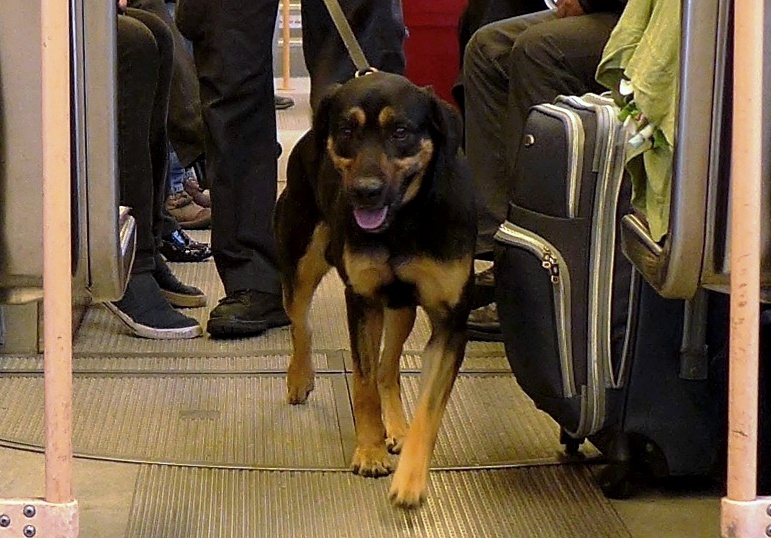 Max came to Transit Police with his name and is not named after TriMet’s light rail system, but we are happy to have him joining our security efforts. 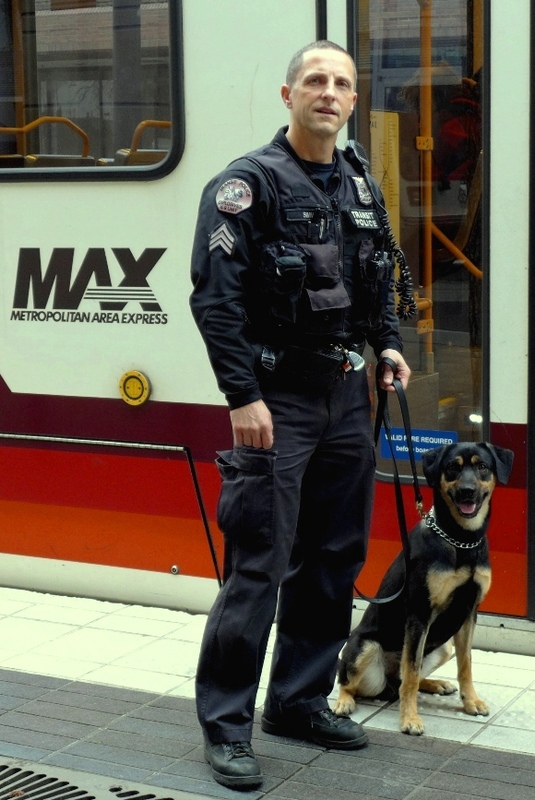 Max received his federal certification in late February and has been getting his nose wet sweeping trains, buses and TriMet facilities for a few months now. The TSA covers the cost of a canine, its training and training for the officer who handles the dog. Currently that’s about $50,000 per team. Max lives with his partner, Sgt. Simms, and his predecessor, Rexo.